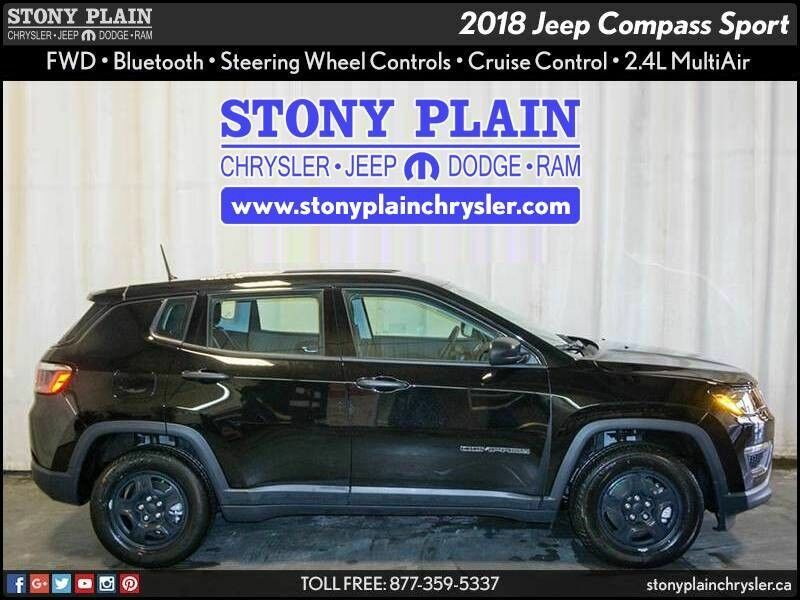 You can find this 2018 Jeep Compass Sport 4X2 SUV and many others like it at Stony Plain Chrysler. Want more room? Want more style? This Jeep Compass is the vehicle for you. Just what you've been looking for. With quality in mind, this vehicle is the perfect addition to take home.